So you finally upgraded your system to Windows 10 and became one those 70 Million users. No doubt, Windows 10 is the Windows best version released by Microsoft, but you need to know that it does not offer much privacy by default. Windows 10 is making many headlines these days, even it made me to write two detailed articles about Windows 10’s most controversial options, i.e. Windows Wi-Fi sense and Windows 10 stealing users' Bandwidth to deliver updates. I noticed over 35 more privacy issues that come enabled by default in Windows 10, which has permission to send your vast amount of data back to Microsoft. The operating system then sends all the gathered data back to Microsoft so that the data can be used by the company for personalisation and targeted ads. 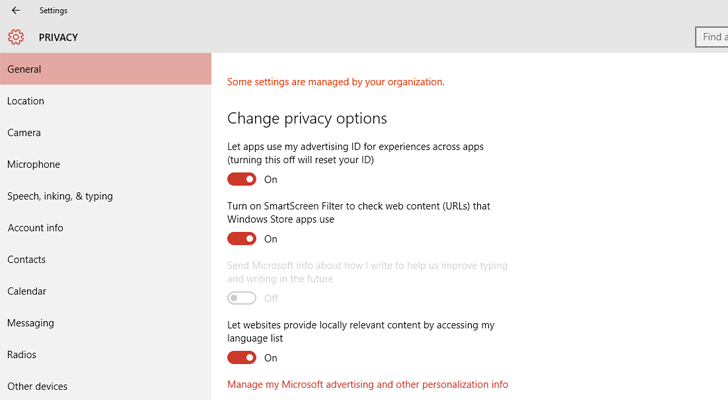 The new free software app, dubbed DoNotSpy10, allows you to disable a total of 37 Windows 10 privacy issues with just one click. 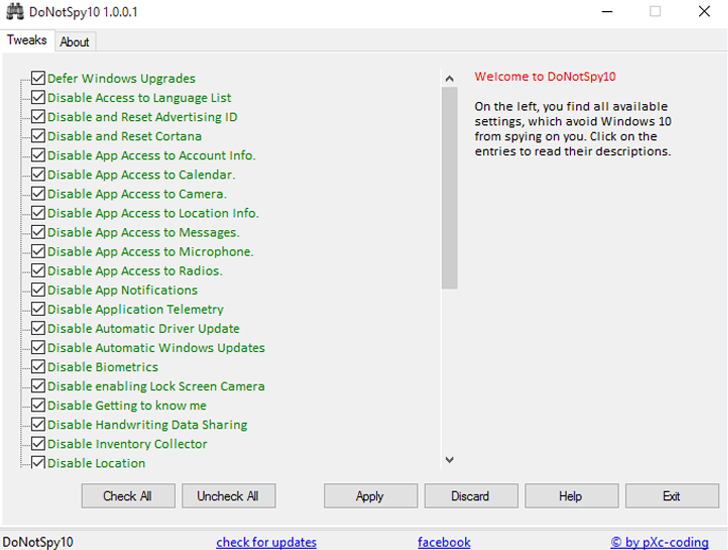 DoNotSpy10, developed by German developer pXc-coding, is a third-party app that creates a centralized interface where you can quickly and easily change settings related to 37 different Windows 10 services that directly impact the security and privacy of your data. DoNotSpy10 prevents you from going through dozens of various features settings in Windows 10 and lets you adjust all privacy and security settings in one place with just a click. The app makes changes in the Registry in the background, so you need to reboot the system once for changes to take effect. Note: Your Antivirus product may detect this tool malicious in nature because it can modify Windows settings. However, developer of the tool is also using an advertisement campaign within the software (mentioned in its End-User License Agreement), so it could also be detected as an Adware, or Pup (potentially unwanted program). Technically, the program is not a malware and you can uninstall it after using once to fix Windows 10 privacy issues.